Turgid historical about Breaca (later named Boudica), the legendary warrior queen who defended Britain against Roman invaders in a.d. 43. British writer Scott here follows No Good Deed (2002), a compelling, contemporary police procedural, with a prolix history of warrior Breaca and the Celtic tribes of Britain in the late pre-Roman Iron Age. In an author’s note, Scott acknowledges that scant details of Breaca and her times exist. Unfortunately, Scott compensates by creating this world with an overabundance of detail: her history becomes a scroll of arcana that lacks a strong, central narrative line to bring it into focus. Especially frustrating are the scores of difficult Celtic character names: a chart of the tribal families would be immensely helpful. 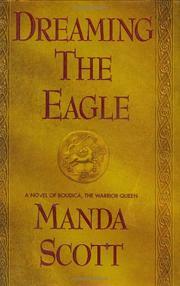 The epic begins as a rival tribe slaughters Breaca’s pregnant mother, killing the unborn. Breaca is taken to live with another family, developing a close relationship with Ban, her half brother. The 14-year-old Breaca longs to be a “dreamer”—members of her Eceni tribe become “dreamers” or “warriors,” their role made manifest in dreams. The gods deem Breaca a “warrior,” which largely defines the extent of her characterization throughout as, red hair flaming, she charges forth, gleaming sword in hand, stilted dialogue at the ready. More compelling and dimensional is Ban, whose narrative clearly upstages Breaca’s. (Since the work is part of a projected trilogy, the next two volumes may correct this imbalance.) When a rival tribe ambushes the Eceni, Ban escapes to Gaul, where he becomes part of Caligula’s court. The clever, feisty Ban’s attempts to survive and go back to Britain momentarily bring the tale to vibrant life. Concluding chapters return to Britain, where Breaca and a slew of followers ward off the invading Roman hordes. May attract a cult following, but most readers will lose patience with the tribes, gods, horses, weapons, visions, and herbs.